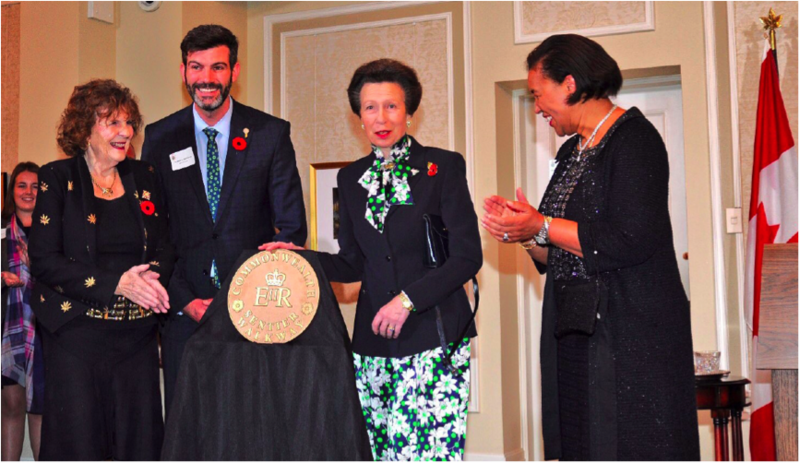 On November 6, 2018, HRH The Princess Royal, Princess Anne joined Lieutenant Governor Lois E. Mitchell, Mayor of Edmonton Don Iveson and the Rt. Honourable Patricia Scotland, Secretary General of the Commonwealth at the announcement of a Commonwealth Walkway for Edmonton. The announcement took place at Government House. The Edmonton Commonwealth Walkway is being championed by Lieutenant Governor Mitchell and offered to the city as a way to honour the longstanding service of Her Majesty the Queen and celebrate the shared values of democracy, human rights and the rule of law that unite Commonwealth nations. The walkway will encourage people of all ages to explore Edmonton’s history and Canada’s Commonwealth heritage while enjoying the recreational benefits that the city’s river valley trails have to offer. Specifics of the Edmonton Walkway plan will be developed by a committee, led by community leader Dave Mowat. The walkway will be funded by private donors and gifts in-kind. The Edmonton Commonwealth Walkway will be the second for Canada. The first was unveiled by Lieutenant Governor Mitchell in Banff in 2017. “Commonwealth Walkways are a way to honour the longstanding service of Her Majesty Queen Elizabeth II and to celebrate the shared values of democracy, human rights and the rule of law that unite Commonwealth nations,” said Lt. Governor Mitchell. A mobile app will share stories and guide users along the trail. The stories will be developed in consultation with community representatives, including First Nations and Metis groups.